Maulana says that we have entered the time of Sayyidina al-Mahdi (as), and the following are commands that are of great importance, for those who are aware of the great dangers which are approaching, as well as for those seeking the never-seen-before Divine Power Openings, that are gradually being revealed to believers. Just last month, Maulana spoke of the power unleashed by a single recitation of Surah al-Ikhlas and of Surah al-Fatihah. Now, the command for Muslims is to distinguish themselves from non-Muslims, so as to be under Divine Protection, and the Door to that Protection, is given in these two Suhbahs summarised below. 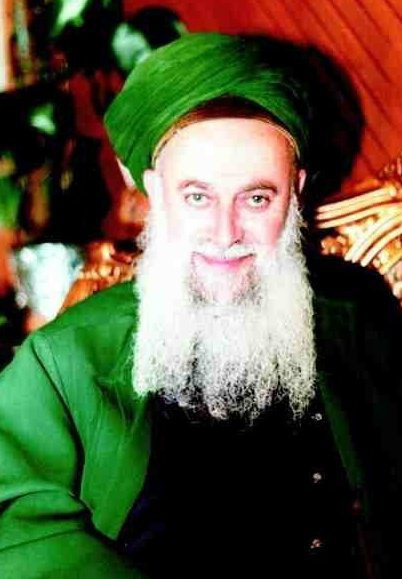 Maulana spoke of the beauty, importance and protection brought about by wearing and using green items, about why we should avoid red, the importance of keeping ladies apart from men, the dangers of staying in big cities, and an opening for the oppressed ones to use Divine Power of takbir for their protection. It is a colour descended from Heavens, it is the colour of Sundus al-akhdar, the fine green silk worn in Paradise by its inhabitants. It has the love of the inhabitants of Paradise in it. It is the most beautiful colour found in the Paradises. It is the most beautiful colour of all the colours. It is the colour the angels love. Since Sundus is the green silk of Paradise, ladies should wear a scarf of green silk on their heads. They may add embroidery or needlework to it, to enhance its beauty, if they wish to. They should also use an inner cap that is green. Men should use green (non-silk) cap. Those who cover their heads in green, will be free from toothaches, headaches and migraines. Men should wear green clothing, and green vests. Maulana said, “Oh ladies of this time, adorn yourselves with green!” Ladies should wear clothing of dark green, not light. We must try to use at least one article of green clothing on us at all times – perhaps by using a green shawl around our necks or using a green turban or a cotton covering on our heads that is green. At the very least, women and men should pin a green rosette on their chests. Ladies should wear green coloured stones in their jewellery. 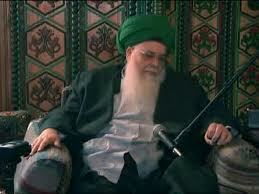 Our beloved Shaykh Adnan Kabbani at-Thohir in green. Paint the outside of houses green and have green furniture. Paint cars green and inform everyone to hang green flags at the backs of their cars. 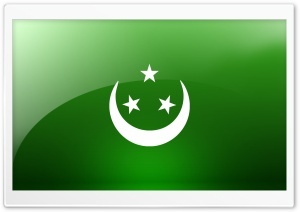 If they like, they can hang on their cars, the old flag of Egypt, it is green. 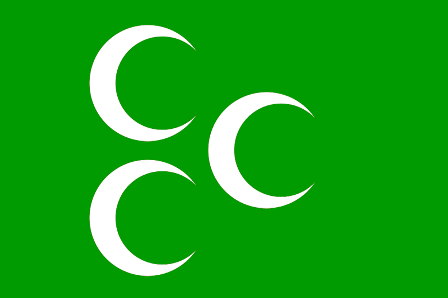 Or the old Turkish flag, its also green. Hang green flags with 3 crescents, or with 3 stars, or with 1 crescent and 3 stars – no accident or calamity will come upon them. Use the greenery that grows in nature, for they grow by the power of Allah Almighty. Grow green vegetables and plants! Be with nature and around green plants. Eating meat makes you become a wild animal (as wild carnivorous animals that eat meat are very ferocious). Eat vegetables and greens, it will make you friendly and soft, (like domestic animals who eat greenery). It makes you kind and ladylike/gentlemanly. Green is the heavenly protection, protection from above. There is a special angel who descends from the Heavens, who protects those who wear green. If all that the sky carries of punishment came down to earth at one go, it won’t touch the ones having green on them – these ones are seen from above and are under protection. There is divine protection in the color green. We should love the colour green and pay attention to it. There are difficulties that befall those who don’t love it. No harm touches the one who loves green in dunya and in akhirah. If Mankind uses green extensively all over the world, the heaviness in the world will be lifted. If green prevails in the world, all troubles will go away and be finished. There is no protection for any other colour, only for green. Other colours are unlucky, only the colour green brings good luck. Those who wear and use green, become lucky! This is the latest fashion of Islam in the end of times (i.e Islamic clothing in shades of green). Everything other than this will bring musibah upon them. Green prevents punishment. It turns away calamities and accidents. Crocodiles won’t attack the one who wears green. Snakes won’t attack the one who wears green either. The snake will instead be killed if it bit a person with green on him! Green brings majesty, hence angels love it. Green gives comfort, gives beauty, gives peace, gives barakah. After Sayyidina Khidr drank from the Fountain of Youth, he was granted life till these times, and is known as the Green Man. Those who have seen him, have seen an aura of green spreading in the area around him. Green is a very powerful symbol in the scientific world, it is the colour of Chlorophyll. Read this Suhbah by Maulana on its significance. A similar command to wear green was issued during Safar earlier this year, as a protection against catastrophes. The people of this time have a tendency for red, it is the new fashion trend now. It is the worst colour, Maulana says. Fire is the sign of unbelief! Fire will burn those who use it! For those who cannot get access to a piece of Maulana’s clothing, he advised that we should make clothes according to the style of how Maulana dresses, and use them (Sunnah clothings for both sexes). Maulana advised mureeds that we should wear a cap, wearing a Fez is also good. If possible, men should not mix freely with women. Ladies should sit in a different place. Don’t let them sit together. If possible, husbands should not let women work outside. Husbands should make them stay in their homes. Recite: Takbir! Allahu Akbar, Allahu Akbar, la ilaha illa Allahu Allahu Akbar, Allahu Akbar, wa lillah al hamd. If one reads this to a plane, it crashes. If one reads this to a cannon, it explodes. “There is power now. It has emerging now, it is opening,” Maulana said. This opening is very important for people facing the relentless onslaughts of tyrants (in many Middle Eastern countries). May Allah protect and open a way out for the helpless, oppressed ones. Amen. Big cities don’t have any more chances, they will eventually all disappear. Therefore mureeds should build houses for themselves in the country, in far, distant places, away from the cities. There should be at least 3 houses in one place. They should not use the color red. Use green for the exterior of their houses. (In past Suhbahs in which Maulana spoke of the approaching Armageddon, he reminded mureeds to lock their homes from outside, and to ensure that at least one male member of the family is always at home to protect the ladies. No women should leave their homes, all necessities to be bought by the menfolk. Maulana said not to let anyone know whether there are men or women in the homes. Lights are to be swithed off in compounds at night. Keep a dog to guard the external compund. Have a sheepskin rug for a prayer mat and a weapon to protect oneself in the home. Sit on the prayer mat, pray 2 raka’ats sunnat and recite ‘hasbunallah, robbunallah’ should you be in fear . Say ‘ya hafeez, antal hafeez’ 100 times daily. Read the do’a of protection etc). Here is a Suhbah that you may want to read on this subject matter. Maulana made the following do’a, “May these (mureeds) be from those who open Your Way. Protect them from evils, Oh Our Lord.” From this do’a, Maulana is asking those who open the Way to Allah, to be protected, so do strive to be amongst those ones. Maulana also prayed, “O Lord, may You forgive us. May You send us Your servants, who will teach us.” From this do’a, Maulana is reminding us to constantly seek to learn. This entry was posted in Maulana Shaykh Nazim's Suhbahs and tagged Armageddon, aurat, city, green, Ladies, red. Bookmark the permalink.